Emily and Jake encountered on their trip to New Zealand. New Zealand was the start of the international travel bug for Jake and I. Before our return to the States we were already talking about where we were going to go next. Traveling is a great way to see your other half in every aspect. The amount of love we have for each other is what makes sharing the adventure even better. This may be the end for New Zealand posts but it certainly won’t be the last you hear of us, the trips are already lining up! The last week or so of life living out of the New Zealand Stray bus was the most busiest and most beautiful. From running around Queenstown (adventure town by day, party town by night) to making our way to the most southern island of New Zealand (Stewart Island); in our minds the act of sleeping was an afterthought. 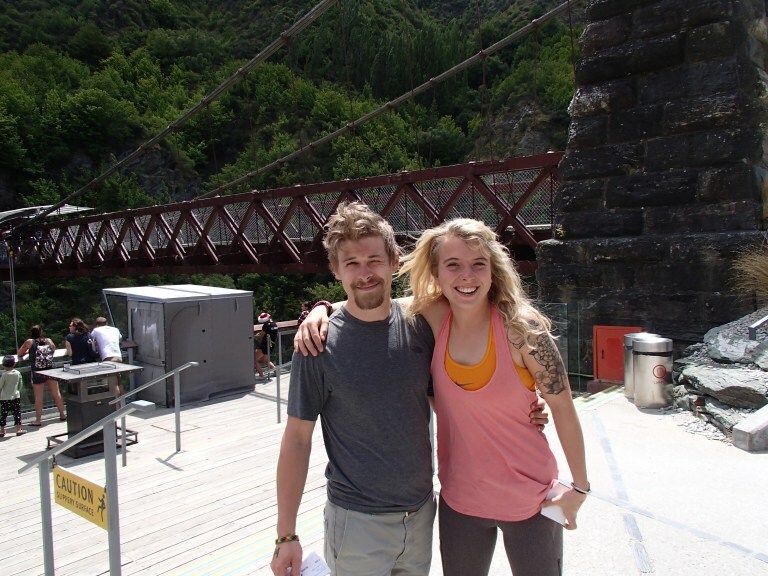 Our introduction to Queenstown was stopping off the highway and visiting the Kawarau Gorge suspension bridge. 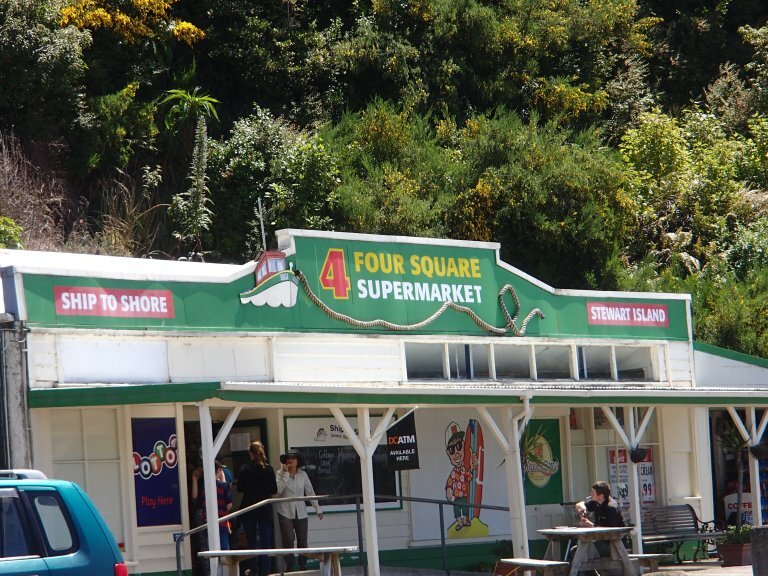 Home of the first commercial bungy jumping in the world, it was something Jake and I hoped to fulfill. 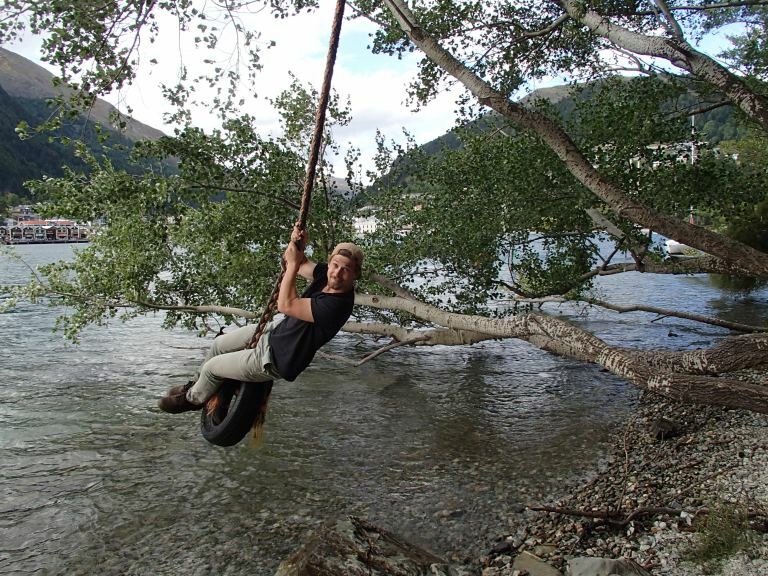 AJ Hackett Bungy owns all of the bungy sites in New Zealand including the “Nevis,” a 134m bungy over the Nevis river right outside of Queenstown. Though we would’ve done all of them if we could, our budget fit perfectly for the Kawarau Bridge jump and we had the entire Stray bus crew to cheer us on! After the amazing thrill of bungy jumping we continued on to the heart of Queenstown. Mom and John hooked it up with a hotel room instead of the usual hostels that we were staying at thus far. Our own shower and plush bed…choice! 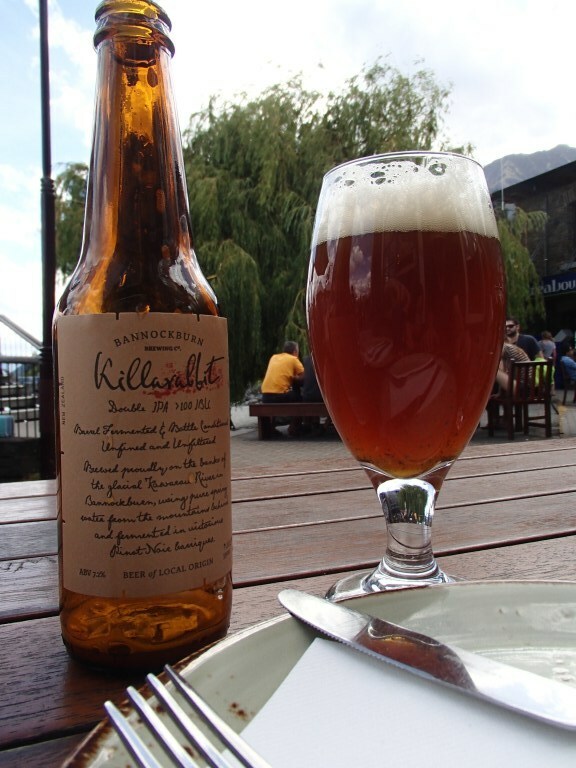 This beautiful town sits on the shore of Lake Wakatipu with the Southern Alps surrounding. This is the place of thrills, amazing Chardonnay, and great eats. The night life of Queenstown is also one that shouldn’t be missed. Pickle, our bus driver, took us on a bar hop to experience expensive drinks, open mic night, all-you-can-eat pizza, and some pretty unique venues. We even met up with a college friend of mine who was also doing his New Zealand adventure. Luck would have it we were in Queenstown at the same time! 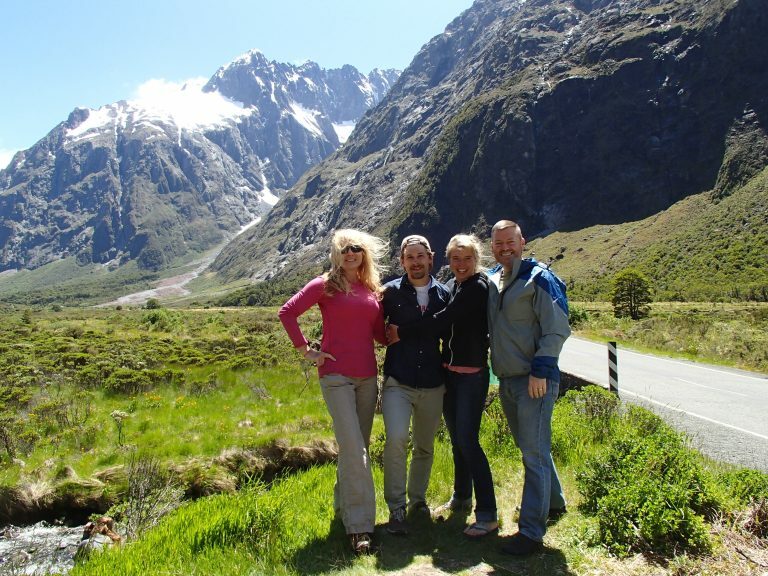 The Stray crew made its way towards Milford Sound, located on the west side of New Zealand’s South Island. Amongst the Fiordland National Park on Christmas Eve, we encountered surprisingly gorgeous weather and some pretty memorable views. The Christmas Eve day was a present in itself. Along the way we were exposed to breathtaking mirror lakes and fun hikes off the roads. Pacman, our driver, made a delicious Christmas Eve breakfast at Gunn’s Camp for everyone and we also got drunk on mulled wine and mistakenly took his queen size bed in one of the cabins the night before. I really don’t have too many pictures from the camp because there wasn’t electricity so you’ll have to take my word. On Christmas Day Jake and I decided to pay the ferry and stay at the most amazing hostel on Stewart Island. Stewart Island is the third largest island, about thirty kilometers south of the South Island. We paid a little less then most others by staying in our tent on the hostel lawns and the hostel owner made a great Christmas dinner for all the travelers. With only a night and day on Stewart Island we went for a great five kilometer run to the beach and lounged by the dock area before our ferry returned us to Bluff where mom and John awaited our arrival. We did it! We made it to the most southern point of our trip. From this point forward we were heading back north and returning to Christchurch for our departure home. Before the goodbye we stopped by Mt. 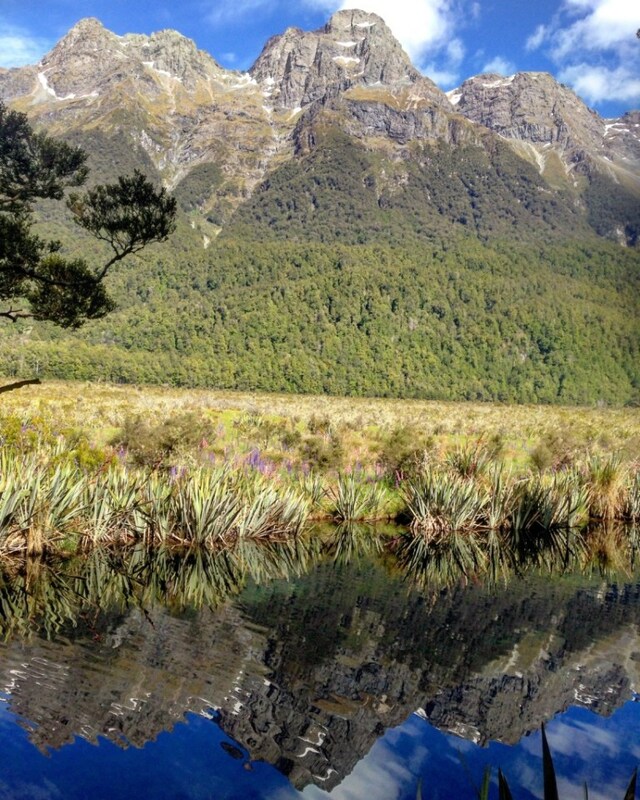 Cook, the highest mountain in New Zealand. At 12,218 feet it may not seem like much to us Coloradans, but we are talking a lot of elevation starting at sea level. We were told that this mountain is training grounds for Mt. Everest alpinists. The hostel here was amazing and we decided to take the day off, eat good food, play cards, and heal the sunburns. We made it back to Christchurch just in time for mom and John to catch their plane back to Palmerston North. We waited a few more hours at the airport for our plane to take us home. Our goodbyes were said and hugs all around, a resounding success for all of us and some sadness upon the realization that this adventure had come to an end. Our dogs were waiting for our return, and our bed was calling our names. Jake and I accomplished our first international trip together with ease and a burning desire to get the map out and figure out where the next destination lies.